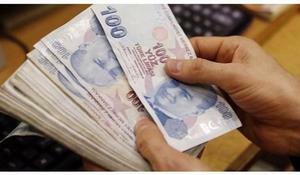 Turkey’s battered lira weakened more than 6 percent against the dollar on Friday, after a U.S. warning that Ankara should expect more economic sanctions unless it hands over detained American evangelical pastor Andrew Brunson, Reuters reported. Fluctuations in the Turkish lira’s rate won’t have a tangible impact on the profitability of assets of SOCAR Turkey Enerji (a subsidiary of Azerbaijan’s state oil company SOCAR in Turkey), head of external relations of SOCAR Turkey Enerji Murat Lecompte told Trend. Azerbaijan’s state oil fund SOFAZ will further invest in the Russian and Turkish currency despite the devolution of the ruble and the lira. Turkiye Halk Bankasi AS, Turkey’s biggest listed state bank, cut its 2014 profit forecast as it said a loan worth 1.08 billion liras ($490 million) was non- performing. Recent devaluation of the Turkish lira was caused by political and economic developments in Turkey, as any change in the politics changes the expectations of economic entities.